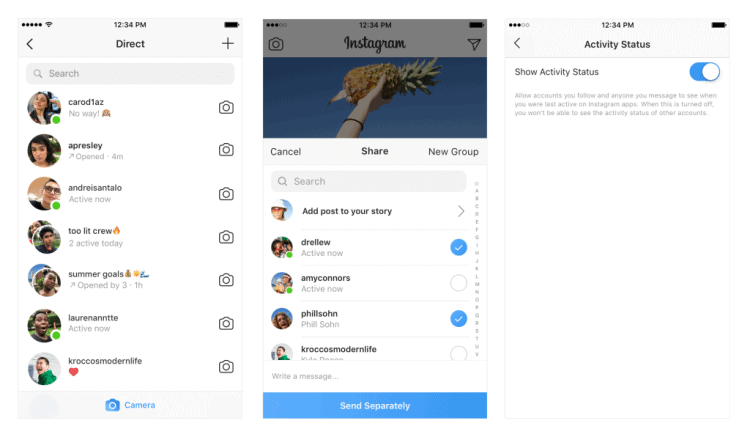 How to see who’s active on Instagram? You can see when people who follow you or have direct conversations with were last active on Instagram. You can control the visibility of your own activity status in Settings. You’ll see a green dot next to their username and photo in your Direct inbox and elsewhere on Instagram. In your direct inbox, you’ll see their most recent activity status (Example: Active 25m ago, Active yesterday, Seen, Typing…). If you don’t want people to see when you’re active on Instagram, you can turn off your Activity Status.